You know your organization. We know bystander intervention. Soteria Solutions engages with workplaces, enabling them to build a safer, more respectful work environment. Decades of research show that bystanders are more likely to intervene if they are able to identify a problem, have role models, know about available resources, are confident, and have practiced their intervention skills. Customization of your bystander strategy as well as evaluation and consulting services are available, as are training and technical assistance. Contact us to discuss training requirements for your organization. Soteria Solutions works with businesses to create safer spaces for employees to reach their full potential. 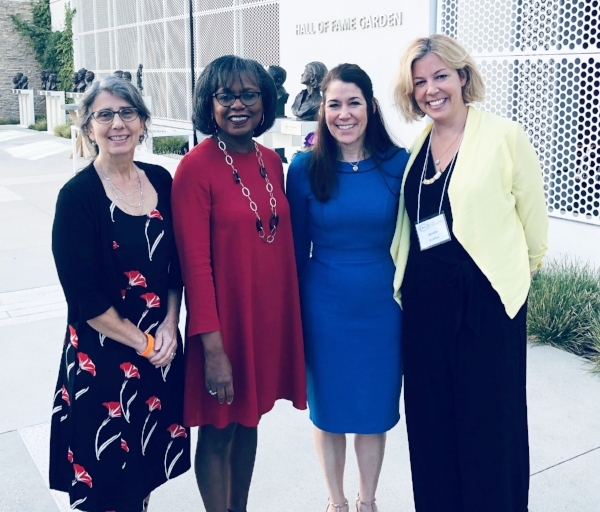 In November 2018, Soteria Solutions was honored to join Professor Anita Hill in Los Angeles as she led a conversation about training and tools employers can provide employees demanding responsive workplaces.